I am sure we have all gone through this in different relationships. “Tony is very offended at what you said and wants you to know that.” “Stacy wants to know if you can help her with this situation she is in.” We have all heard things like these from 3rd parties. Elijah House calls it Triangulation. It’s where one person speaks through another person to get information passed. And it is usually done for negative reason. The reason I am blogging about this is because I had a dream last night. In the dream I was talking with an person who told me that another person was offended at what I said of did to them. Then I woke up and immediately thought about that term Triangulation and how I have experienced it in the past and even recently. It can be very damaging and hurtful. As I lay awake after the dream I was being flooded with thoughts concerning they way Triangulation works within relationship and the harm that can occur by these actions. I believe these thoughts were God’s voice showing me things about Triangulation. Triangulation itself is used to locate a GENERAL area but never SPECIFIC area. In cell phone tracking it takes three cell towers and triangulates to create a triangular area where a particular cell phone is located. We could call it a gray area. There is a lot of gray area when triangulating. He said this and she said that. Meanwhile the 3rd party can easily fall into preference over one story. I believe a lot of the times triangulating is used because a person is so offended that they don’t want to reconcile or talk things through but just to vent/gossip/find someone to back them up. This can be a sketchy situation with the 3rd party individual. 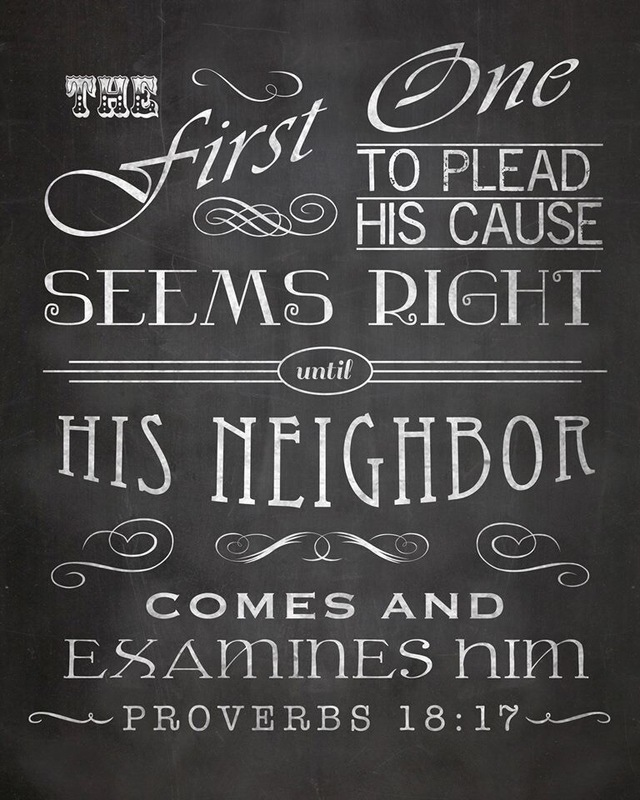 If the 3rd party is mature they will take Proverbs 18:17 into consideration. Also Matthew 5:23, 18:15. If someone is emotional unstable or something like that it can be understandable. It’s one thing to have someone say, “so and so is hurt and you should pray about it and go talk with them,” then to have someone say, “so and so is hurt. Tell me what you did and I’ll talk with them.” It is always better to work out something with the person involved instead of involving someone else especially with family because it is hard for that 3rd to not take sides. In my case I had several people talking amongst themselves about me and another person. First off, I had no idea this was happening and once I did the 3rd party person was totally in line with the other person without ever coming to me to see if what they said was true. It was very damaging and trust was very broken. It hurt so bad it felt like my gut was punched and fell on the ground for over two weeks. It was horrible. Plus the other person along with me was never, to this day, asked for their side of the story. Trust and honesty was broken all because people wanted to triangulate their issue to someone other than the person who “offended” them. As believers we need to grow up. I say that with utmost love but also utmost earnest. We need to go to the person we have the issue with whether they like it or not and if by all means attempt to make peace. Lets find the truth is situations by doing it together with maturity and not immaturely going to other people to find solace and for someone to take our side without ever having the other person’s side to the story. If you’ve been hurt go to the person that hurt, not right away, but when you are ready. Please let the person know that. Let them know you were hurt but need time. I will say this: if you are hurt go to someone for prayer, counseling, encouragement, and healing. But don’t go to trash and attempt to reconcile through someone else. We can’t trust the grapevine. Stories can get very convoluted using triangulation. If you need another person to be with you when you talk to someone then that is fine. Go for reconciliation. God loves reconciliation. He reconciled with us. Do we not know that we will judge the angels and the world. (1 Corinthians 6:1-7) Seek Him in all things regarding offense, hurts, and hang-ups. Let us love one another and talk things out with one another directly. ← Does God “Use” People? I have just started reading this blog. It is well-researched, articulately stated, and documented. The insights of the author are things that most of us struggle with currently, or have struggled with. Johns heart and compassion shine through in every post. John, thank you for sharing your struggles and pain, as well as the victories, so that others may find the same grace and deliverance the Lord has given you.